Concussion has become one of the most significant issues in contemporary sport. The life-changing impact of head injury and the possible threat that CTE poses to children and young athletes in particular is calling into question the long-term future of some of our most well-established sports. But what are the real issues behind the headlines and the public outcry, and what can and should be done to save sport from itself? This concise, provocative introduction draws on perspectives from sociology, medicine, ethics, psychology and public health to answer these questions and more. The book explores the context in which the current cultural crisis has emerged. It assesses the current state of biomedical knowledge; the ethics of regulating for brain injury; the contribution of the social sciences to understanding the behaviour of sports participants, and the impact of public health interventions and campaigns. 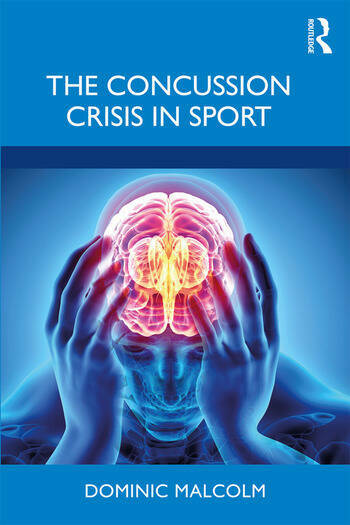 Drawing on the latest research evidence, the book explores the social roots of sport’s concussion crisis and assesses potential future solutions that might resolve this crisis. This is essential reading for anybody with an interest in sport, from students and researchers to athletes, coaches, teachers, parents, policy-makers and clinicians. Dominic Malcolm is Reader in the Sociology of Sport at Loughborough University, UK. He is also Editor-in-Chief of the International Review for the Sociology of Sport.